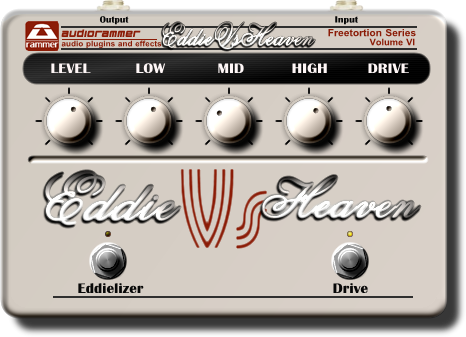 EddieVsHeaven is our new freetortion plugin for guitarists. EddieVsHeaven contains a complete guitar rig in a stompbox form. There's no need for additional plugin just plug your guitar into your soundcard and start rocking.